After the wildly successful Toy Story of Terror! aired just before Halloween in 2013, it seemed reasonable that additional television specials would be created as well. In fact, in an article from last October, Jim Morris (Pixar's General Manager) noted that if Toy Story of Terror! was well received, they would be more likely to produce additional television specials. Well, today we have learned (via Variety, Screencrush & Dan Taylor) that a new television special will be airing on ABC this holiday season (just before Christmas) titled, Toy Story That Time Forgot. We aren't aware of the total runtime for the special yet, but we would still anticipate that it will be 30-minutes. Also, we're happy to see that Trixie looks to be a main focal character in Toy Story That Time Forgot - she's a hilarious character that has quirkiness to spare! 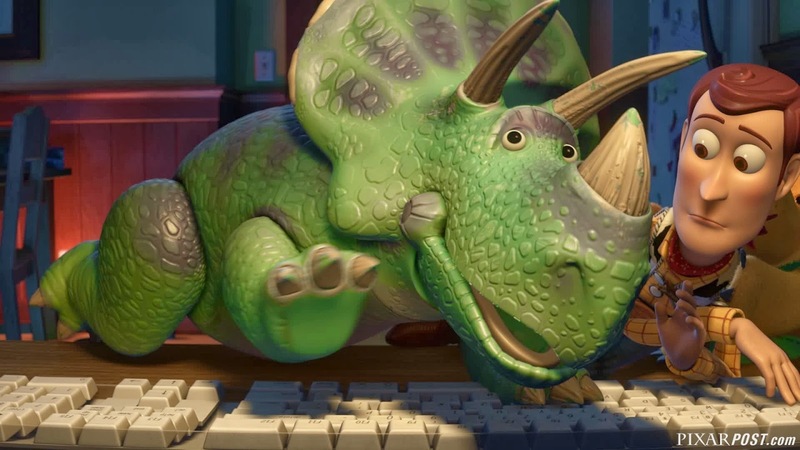 Many of our other favorites characters will be back as well with Tom Hanks as Woody, Tim Allen as Buzz, Kristen Schaal as Trixie, Kevin McKidd as Reptillus Maximus, Wallace Shawn as Rex, Timothy Dalton as Mr. Pricklepants (glad to see he's back again since he was so hilarious in Toy Story of Terror! ), Don Rickles as Mr. Potato Head and Joan Cusack as Jessie. 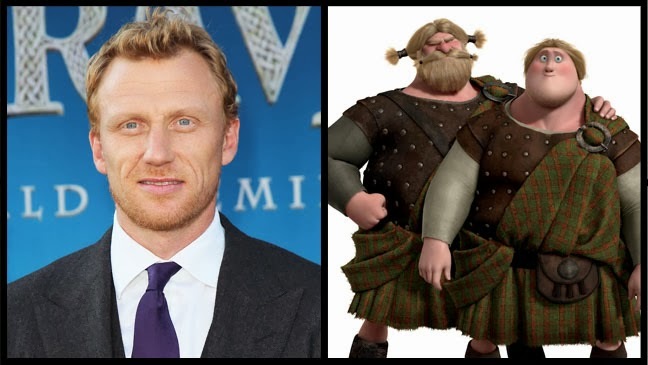 When reviewing the list of actors who will be voicing the characters, if Kevin McKidd's name stood out as sounding familiar, that would be because he voiced both Lord and Young McGuffin's voice in Brave. We'll also be interested to see if Pixar's own, Peter Sohn, is included in the vocal cast as well since he has voiced countless characters in Pixar shorts and films (most recently, he voiced Transitron in Toy Story of Terror!). Gayln Sussman will reprise her role as producer of Toy Story That Time Forgot (also produced Toy Story of Terror!) and Steve Purcell will take the reigns as director of the short (co-director of Brave). 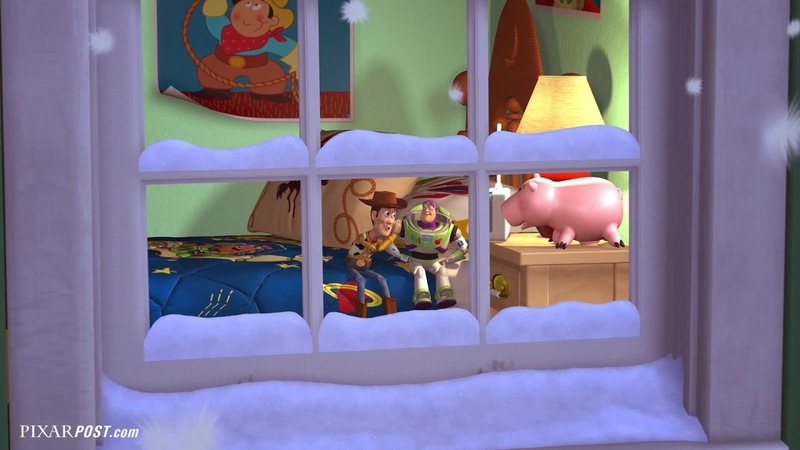 When Julie heard the news of a Toy Story Christmas special taking place this year, she immediately reminded me that she's been talking about it on multiple episodes of our Podcast - so it seems that she has properly predicted the news. Now lets see if she can predict the storyline! What do you think - any thoughts on the story line and what they may do with the delusional action figures? Feel free to leave a comment below or chat about it in this post on the Pixar Post Forum. UPDATED: - Thanks to the great readers on the forum post mentioned above, forum user Mac95 came up with a pretty clever connection to a classic book, The Land That Time Forgot. Due to this, we dedicated the beginning of the 24th episode of the Pixar Post Podcast chatting about some of the ways that this book, by an all-too-familiar author, may play out in the upcoming Christmas special. Take a listen to the podcast and then pick up the book for free on Amazon (for Kindle readers) or (also for free) through Apple's iBook Store. We'll be discussing the book in more detail on the 25th podcast episode so be sure to read the book as well to share your insights.